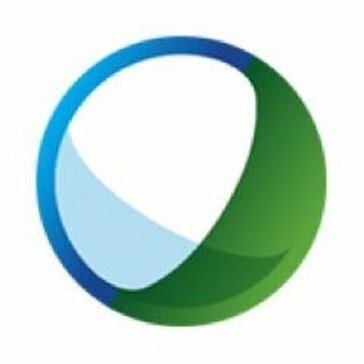 Work for Cisco Webex Events? Learning about Cisco Webex Events? I think what I like the most about Webex, is that much like a telephone call you have the ability to communicate vocally. But, the programing goes beyond that in itself, WebEx Webinar allows for a face-to-face dialogue as well as giving the user the ability share screens. This gives the user the ability to have a deeper understanding of what material or things are being addressed within their meetings. I find using it to be very helpful when meetings arise. One complai9nt I have is that there isn't a straight-forward method for the Host to have the ability to mute all of those within a meeting prior to the meeting or even during the meeting. most of the time i have been in a Webex the host always has an issue with muting all attendees. I find this to be an issue because people are loud or there is a constant beeping from everyone muting themselves. I think that a straight-forward method to muting would be helpful. I think that the software is a great product that could be perfectly implemented by any company seeking to have a program that encompasses all of employees within standard meetings. I would highly recommend it based on its ability to develop a strong level of communication between employees and supervisors. The problems that the software continues to fix and address is that it allows for a better understanding of materials being addressed during a meeting. basically I find it useful when i need to share information in real time with those who are not located in my region. "Can't tell if I love it or hate it"
I lecture in a large computer lab where not everyone can see common screens. So, we use Webex so everyone can see the lecture on their screen. It is great that wherever you are, someone can see the lecture. I LOVE the pause feature. I can show students a problem, pause the screen while I work it out, and then resume when I am ready for them to see the content again. I LOVE LOVE this feature. It is so convenient. Also, if a student comes up to me and I need to check their grade, I can pause the screen so everyone doesn't see their information. When you are sharing your screen, I do not like that you can't move the task bar (with stop sharing, pause, annotate, etc options) to the SIDE of your screen. This task bar takes up a lot of valuable real estate on my screen and I wish it was more compact or could at least be moved to the bottom or side. All you can do is slide it across the top. I would recommend getting to know the settings. There are lots of useful features that I have experimented with, such as people raising hands (virtually), etc. I mostly just use the share screen function. But, if you aren't careful in the settings, you can have students taking over your lecture. Make sure to turn off "Anyone can share" if you are doing a solo presentation! We are solving so many lecture problems. We are able to lecture to 115 students and be able for them to all see the notes! "good for webinars and mooc education"
if you are using the free version, then you are missing a lot of features in this software. it is not expensive though. I recommend webex webinar if you are having meetings overseas or using online educations modules (MOOC). it keeps you and your audience on the track. you can share screen, share files, and discuss over webex. also and most importantly, after finishing your meetings or classes, they send you a brief email includes videos of the meeting and the files that have been shared in this meeting to download them. so there is no virtual assistant needed to do that. it is one of the most features that I like in webex. discussion with clients and employees. making tutorials for new employees remotely. "Recently invested in Zoom after years of Webex. Both are good but Webex needs to improve"
Webex video leaves a lot to be desired--its often choppy, grainy, and can bog down a meeting if you're trying to use both video and screen share and switch between the two (god forbid you use both at once). Solid platform for the price. Everyone knows it which is a positive. "A trusted webinar that is easy to use"
I have used this interface many times to perform live meetings, trainings, and presentations. The interface is easy to use and is not overly complicated. I would recommend this platform for new users. I don’t remember seeing a recording option. There may have been one but I don’t recall. If it’s not available, I would like to see this as an option. If you wish to have a panel discussion, you can stream up to seven videos at a time. To allow webcam transmissions, however, you need to invite the person as a panelist rather than as an attendee. You can promote people to presenter status, but they will not have webcam ability. Presenters can share applications from their computer, which limits what the audience sees of the presenter's computer to just that application. You can upload your slides to the fileshare, and during the presentation, you can see them before your audience. This is nice because you can change your presentation on the fly to meet your audience's interests without them seeing you skipping over slides. Many of the other services don't offer this. Ability to invite more attendees to the web meetings. Some competitors have higher availability of attendees available. "Webex Webinar: The Aging But Reliable Draft Horse Of Video Conferencing"
Their interface is reasonably easy to use, and they don't seem to change just for the sake of changing. That makes it easy for other, less frequent users to still be able to use the platform, even if it's been months or even years. The platform seems very reliable. It rarely glitches, and on the rare occasion that it does, Cisco does an excellent job of getting things fixed quickly and seamlessly. mistakes is cumbersome. Using the marker/pencil feature to circle or underline words is pretty useless, as there's not enough control. Their recent update has made it even more user-unfriendly than it was before, and it's annoying my students and wasting our time together when I have to keep instructing them, over and over, how to change the camera image size with respect to the whiteboard, how to activate their mic and camera, etc. Their customer support is fairly unhelpful--from this user's perspective, anyway. Their chat box is unimaginatively laid out and awkward to use. The audio messes up a lot and time is wasted when students have to exit and log in again to "fix" the problem. The most annoying thing is that when using the whiteboard, the teacher has to either push "enter" multiple times, and/or rapidly scroll up and down so the student can see what was written. In other words, the student can't see what is being written in real time, which forces them to listen to the teacher type while nothing appears on the screen. If Cisco won't do it, be sure to create your own good tutorial for all users. Use video demonstrations, FAQ's, and written instructions to appeal to all types of learners. Cisco's Webex Webinar is the platform my company has its teachers use for teaching languages online. I've been using this platform for about six years now, and if it's good enough for my employers, it's good enough for me--it's their call! "Good collaboration tool for remote employees"
Easy to get multiple people on one call and talk thru something, share a screen, dial in together and just meet in general. It links in to your email provide and with one click, you can add your webex to your meeting invite. It can be hard to find your meeting number and call in number if you want to add someone later once the meeting has started. Or if someone can't find the call in number and they say, "send me the dial in", you are left looking for it. Good solid tool that is a workhorse in the office. Gets the job done. The business problem is an easy way to meet with co-workers who are not in the same office. Webex does offer a solution that is fairly easy to use. The screen sharing is very simple and it's easy to attach a webex to a meeting invite. Simple and webinars start with participants as muted. I like the ability to be able to direct message a presenter, while the presentation is going on. There are lots of other products out there but seems like this is the most convenient for large companies. Nothing that I can think of. I typically participant with a presentation. If there are audio issues, I can adjust on my end so I can hear better. The online presentation does eliminate the ability to directly connect with a presenter. My firm is a small one and probably won't make sense with economically. Good for large firms, maybe not the best for small first with limited resources and due to alternate available options to this product. I will still continue to attend webinars using this option. make sure you have the correct sound devices connected. Attending webinars on topics of interest to me and my work. The opportunity to listen to a presentation while working is a lot more convenient compared to physically going somewhere for the presentation. It's a pretty easy way to connect people across different regions to all be able to see presentations, live meetings, and training. It's easy to set up, easy for people to log in, and I like that it connects with Microsoft Outlook. Adding people to a meeting after the fact is difficult, and sometimes people struggle to find the best way to connect (dial in #, access #, meeting ID, etc). It's a great tool that allows you to present and share your reports/presentations with other users across different regions or even countries. I've been using it for about a year and overall it's the best way I have found that I can "meet" and "share" my reports with users who are in other locations. I use this platform when reviewing documents with clients across the state in a easy to use format. The connection can be an issue but I believe that has to be due with the bandwidth/user and do not think it is associated with Webex. Do a test run before and be sure to ask people to log-in 10 minutes before the meeting time in case there are any system issues that cannot resolved to avoid delaying the meeting. We are solving costs by being able to meet without traveling and maximizing our time. We are able to virtually - no pun intended - to do the same thing in a conference room as we would using the platform from the comfort of wherever we may be. This seems to be a corporate only interface. I wish wish wish there was a way to use it for personal activities, like Toastmasters or other groups. Don't think, just get it. This product is reliable, stable, accessible from anywhere, and really allows for excellent communications across the globe. I'd be lost trying to have my technical conversations without the visuals that WebEx allows to be shared on a regular basis. This has eliminated the walls between countries. We have multi-timezone meetings across continents and cultures, and this connectivity option makes it easy to get the whole global team on the same page in an instant. "Webex Webinar : Helping with Conferencing"
I would like to have had a stand alone app that I could run from the desktop for scheduling meetings, logging into the website to set one up takes up time. Maybe there is such a thing already there but if it is, I must have missed it. It is great for large group meetings. I have yet to have a bad meeting with this platform when there have been a lot of people (I consider over 50 to be a lot) on a session and almost all are joined through a toll-free dial-in teleconference. "WebEx - Slow and Steady"
What I don't like about WebEx is that they make features that you need in an emergency hard to find. For example, if you want to mute everyone as they come in but you totally forgot or you are a complete novice. It is now going to take you forever to find that option. They need to make that feature more known. I am able to create meetings and host them with my team and other stakeholders all across the U.S and sometimes overseas. It is very easy to use. You just follow the link and you are automatically connected. It is very clear if you have a good internet connect and you are able to utilitze slides as well. I have not actually had to set up a meeting I have just joined so I am not sure if it is easy to set up. But I do not hear any issues with it. Make sure you login at least 5 min before any sessions start. The company uses it for learning seminars and it is easy to join and clear to hear the speakers. "A bit buggy, but easy to use and highly functional." It is very easy to use. You can quickly pull together a room full of people. or set up a screen sharing session for jut a few. It is very simple to pass control around, and seamlessly view another screen. It will occasionally glitch out and some features may stop working, such as, the hand raising icon. But, this is simply fixed by exiting and rejoining the room. Be ready to self solve some random, non-troublesome issues, but it is a great program! We use WebEx for some meetings, but more often as a training aid. We are able to easily break into small groups and assist with the job role without interfering, or being distracting. "Quick to set up a meeting with anyone in the world"
I work with a team that's distributed all over the world - I can easily coordinate a meeting with team members from anywhere and everywhere, whether impromptu or planned. I've used other software for pulling in distrusted members for presentations, and nothing compares to Webex Webinar. It's easy to learn, and easy to set up. There's nothing about the program that I dislike personally, although some of my older co-workers would appreciate guides geared toward them. I meet with clients all around the world on a daily basis. There really isn't an option that works as well for my needs as Webex Webinar. I need to be able to pull up presentations, in a way that isn't feasible by sending documents and speaking on a conference call. For bigger meetings especially, it's nice to know that everyone has the same presentation in front of them, and is on the "same page," if you will. "Excellent to use Webex for project demos "
I would like to say little things regarding Call in feature. it should available in trail versions too. rest all i liked and thanks to webex to help in my project. Guys please use this tool, its very helpful to organize the meetings and demos of projects. to show demos and share our screen to another members. I like that you can use the control panel to see questions, who is talking, etc. Being able to record the webinars are also a huge plus. I dislike when people have background noise. The program makes it easy to find out where the noise is coming from, but sometimes it can be difficult. WebEx has everything you would need to conduct a successful webinar and its easy to use. We are using WebEx for webinar trainings and for presentations. It is an easy way to get everyone together. And one of the best features, recording the webinar, ensures that no one missed the information. We can send out a link to the recording to make sure everyone receives the same training and that training can be done on their own time. The ability to host a live demonstration and share my screen, while also retaining the ability to drop the presentation ball off to a participant so that they can share their screen if they have a specific question. I dislike how the software perceives that someone is not paying attention to the presentation if they haven't moved their mouse in a period of time. If you are leading the meeting, log in early to ensure you are able to setup the presentation without problems and also check with users to ensure they are able to see your shared screen and hear you. Providing a high level overview/presentation of a software trading platform and functionality to users. "WebEx is an office "status quo" product - good enough to use, not great that I'd want to take it hom"
I don't like that the default sometimes has my webcam showing - why would that ever be a setting? I feel that that should always be a non-default option. I don't like that if you forget to password protect anyoen can join, and in large calls it can get worrisome if someone is on the call who shouldn't be. "Realtime meeting with the person at any place." Very easy in operation, self call by the webex is the great thing. Sharing the screen to the people in other places . sharing of video and audio at the same time. Echoing of voice sometime, and lagging of screen operation, one anchor can talk for a while and later other person may speak. Greatly advised for the realtime meeting of the people in various places. Manager shares the progress of the individual worked so far and for skip level meeting to take feedback from all the employees over all the places. "Useful for demoing and getting feedback"
The best part is the varied functionality that WebEx has. It lets you screen share, talk, call in from another phone, group call, message, and share screens as well as much more. The screen sharing is my favorite part because it allows us to not have to be in person in the lab to update on progress, making research go by much faster. At first, using the interface on the web was hard because there were so many controls and functions, and it takes a while to get acquainted to it and get used to it. This is especially the case while you're trying to interact with the software while screensharing. Hosts can record the meeting (both audio and on-screen elements), mute and unmute attendees, and end the meeting. All participants can use the chat feature. During the meeting, hosts can share their desktop, a specific app, or files from their computer, including video. A module at the top of the host's screen shows whether sharing is switched on or not, so you don't leave that feature on after the meeting. You can also share a virtual whiteboard for sketches and notes. All sharing features can be used concurrently with video chat, which is helpful and not available on some services. As a researcher, this is great because it enables us to call over long distances and it's very convenient so it fits right in our schedule to be using this software. The web addition allows us to do much more than the phone interface, and we are able to finish meetings quickly and seamlessly integrate it into our regular workflow. We also are able to demo over it so we don't have to send any code over to show progress. "Easy to use on most applications, clunky in areas and need to get use to interface "
The ability to video chat with associates who are located overseas. Being able to audio conference with all of the employees and having the capability to video chat as well. The way it is set up is extremely helpful. You can set roles (presenter, panelist, etc.) to limit access to those present in the conference. You can mute others and they can "raise hand" when they wish to speak. It's very convenient. The settings are difficult to navigate through sometimes. When there's an audio or file sharing problem, we usually have to end up calling the technologist to figure it out. We hold a weekly professional development session through WebEx Webinar. All of our other information sessions are done through this platform. We often have outsiders attend. WebEx generates reports of attendees, along with a log of the recordings and such. It also lets us send a thank you email and such afterwards. All in all, it makes our life much easier. It's very easy to use. Outside invitees are able to easily access the call feature via their phone or their laptop. Plus the screen share without video of the attendee is nice. Nothing! It's worked consistently without any glitches every single time I've been a user. If you don't want to be seen, turn off the video feature. Sometimes it's easier to SHOW people what you are discussing while you are discussing it. "Best in industry for screen sharing"
This application enables you to share screen with others , give them control of your desktop sitting far away from you. Really nice and user friendly. Sometimes th voice is not clear or there is a lag in voice and video which creates misunderstandings. Needs to be improved. I am giving transitions to my colleague s over webex and thus building resources for my organization sitting far away from th at different location. "Great way to hold meetings"
Webex is a great way to hold meeting at my company. Screen sharing and great pricing make this the best option for us. I dislike that we cannot hold more than one meeting at a time, but i think that has to do with our 1 account. Also there has been times where external users have trouble accessing the webex meeting. Webex is an amazing tool to hold internal and external meetings, screen share to those in the meeting and hold audio calls as well. We're solving our meeting issues- screen sharing with clients, reviewing materials together etc. "Best Online Meeting / Video Conferencing Software Around "
This program makes it very easy to host and share webinars, even with people in different geographical locations. Sometimes it is hard to get properly set up if there is not a fast enough internet connection. Be patient when setting it up, it may take some time to get the hang of it, but it is easy to use once you become acquainted. We use the Webinar to attend SQA-hosted events remotely so that we are staying up to date on current regulations and events without having to travel to meetings. I like being able to quickly and easily call, video, and share my screen with a group of people. I also like being able to individually message or group message everyone on the call. Sometimes invitees have a hard time accessing the meeting and I don't know how to help them because everything they have been supplied with is correct. Meeting with people around the globe for meetings and demonstrations. The integration with Outlook is the best feature for me, as I can use the add-in tool to organise meetings and host WebEx conferences easily with the click of a button. The information is self-generated meaning all I have to do is invite the attendees and they will all see the relevant information to join the conference call in their email automatically. The connection isn't the best and I believe that's a case of stability, rather than connection speed. If you're looking for a professional web service tool that can provide end-to-end communication, WebEx is definitely up there. With various clients located around the country, we are able to contact each of them via WebEx and use features such as screen sharing and more to communicate without having to spend money on travel expenses. A lot of callers can join by phone call or video. You can screen share, making it ideal if presenting to people who need to see what and where to click on a software/program. I do not like that it lets you dial from online, which sounds like a lot of static. A lot of static and if you place the call on hold it plays music for everyone. Benefit I have realized is that it can hold a lot of employees. Great if you have multiple office locations that need one presentation. Not complicated structure to webcast your monitor and presentation. It would be nice to be able to zoom into presentation while they are occurring. I do not think this feature exists. It serves it purpose but I think I have used that software of other companies and they seemed easier to use. Solving the problem of being able to share information in a quick and easy format. Easy to use. Its nice going right to my outlook calendar and clicking on the meeting I want to attend. I also like the app a lot. Its easy to join calls while traveling. I do not have anything in particular I do not like. If anything the voice is just in my head all day long. Powerpoint will show slide show view improperly unless you know how to mirror screens. Client alignment by showing content from remote locations when unable to be in-person. This software system has great access to users needing to acquire continuing education through their workplace. Very easy and simple to use. At this time, I have no dislikes for this system. No business problems at the moment with WebEx Webinar. Some of the benefits of using WebEx Webinar is that it provides easy access to material that provides the user with important information to help them learn their job better and work more efficiently in their field of work. "have been using since 2 years"
screensharing made real easy with group of people. "Webex is adequate for webinars, but not any more than that." Webex works for webinars with customers and employees alike. Webex is full of issues and does not have he best UI, video quality also tends to be poor, not a good way to show off to customers. Compare to other webinar platforms such as On24. 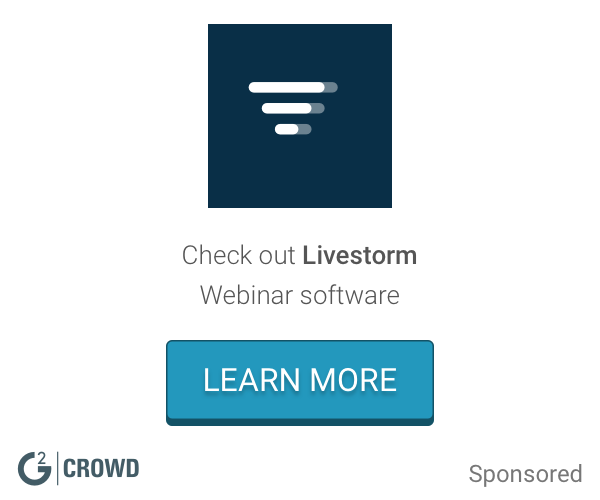 For customer webinars showcasing products and new features, etc. "Web conference for the professionals"
Set up once and you're good to go every time there is a web conference. None but they can add location sensing and auto-dial phone number. Show desktop Powerpoint or demonstrations to remote attendees. This is easiest conference calling program to use. I can log in using my phone or computer and have clear communication with the ability to share content, record and ask questions. It slows down my computer when I am sharing content. We are using this for internal and external calls. This is a great conferencing tool. It is easy to install and easy to use. I have not encountered any issues with WebEx. The company I used WebEx with had agents all over the country, yet we were able to hold training meetings without an issue. It was easy to use, and none of us encountered any setup issues. It is also nice that it defaults to not showing your picture/video input, although this can be turned on if desired. It also allows screen sharing. "Perfect to watch a webinar, easy to use"
The application which you use to enter your Personal Room is fantastic, allowing you to easily share your screen as well as see the video of people you're connected with. The phoning in system is quite tedious and could do with a revamp as I find myself having to follow so many steps in order to start a call. WebEx Webinar allows us to connect globally to not just staff but also a variety of clients. We can transfer files, share screens and really understand a conversation through video chat. They send an email right before the webinar with links that are easy to use. You have to use the phone to call in, rather than just use computer speakers. Use the calendar feature to keep your schedule straight. Webinars for an international company for training. "Teleconference and online meetings and collaboration"
"Webec Webinar has never let us down"
I love the dependability of the product. It makes my workday much more enjoyable. I have no dislikes about WebEx webinar that I can think of. Use it - it's a great product that can increase your company's productivity. It enables remote workers to connect from anywhere. * We monitor all Cisco Webex Events reviews to prevent fraudulent reviews and keep review quality high. We do not post reviews by company employees or direct competitors. Validated reviews require the user to submit a screenshot of the product containing their user ID, in order to verify a user is an actual user of the product. Hi there! Are you looking to implement a solution like Cisco Webex Events?